Congratulations NOURISH Yoga Teacher Training Graduates! 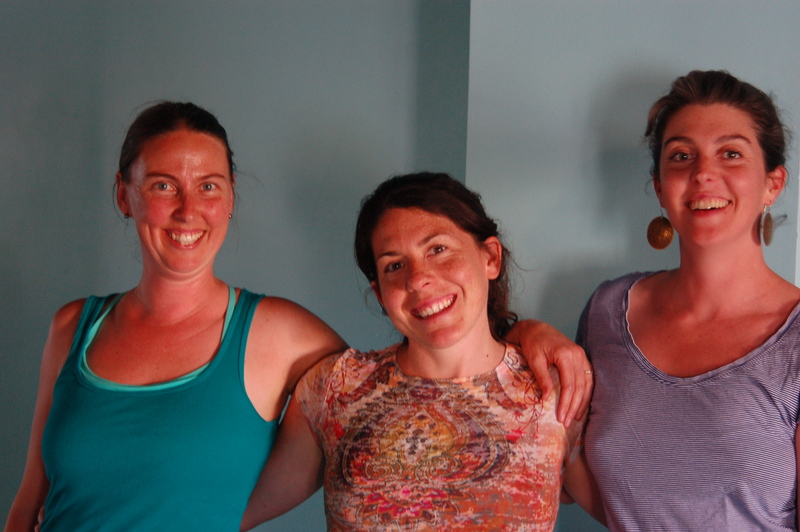 This week Brenna, Zoe, and Sarah finished their final teaching exams for their NOURISH Yoga Teacher Training Program completion! They all did wonderful jobs and will make mindful, considerate, compassionate, and caring yoga teachers. It has been my privilege to work with them and watch them grow as students and teachers. They will be the instructors for the NOURISH Teen Summer Yoga Camp that happens in late July and early August. The kids who participate don’t know how lucky they are. Additionally, if you come to classes at NOURISH you’ll find them all subbing (check the NOURISH schedule for details). Thank you to one of our clients for bringing an interesting article in today about yoga and eating disorders. This excerpt comes from Time’s annual The Year in Health article, which focuses on important medical topics and developments from 2009. “A session of yoga for teens with anorexia, bulimia or other eating disorders may provide more than a spiritual and physical boost; it could also help them get over their illness, according to a new study of 50 adolescents, mostly girls. The girls were seriously ill — nearly half had been hospitalized because of their eating disorder — and were being treated at an outpatient clinic at Seattle Children’s Hospital. The teens were randomized to receive either their usual treatment at the clinic or that treatment plus two hours a week of yoga classes.